Hot Leathers Classic Deerskin Unlined Driving Gloves (Black, Large) | What Should I Say? 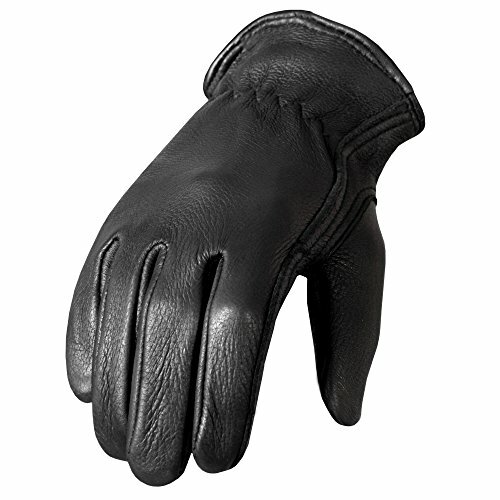 Hot Leathers Deer Skin Unlined Driving Gloves keep your hands warm in inclement weather. Driving gloves provide extra grip on the wheel and help with hand fatigue on long trips. Basic biker black with no frills, just soft, flexible comfort. Please see our size chart for the most accurate fit.